We provide many solutions for bird proofing. We install mechanical systems, natural repellents and chemical systems for bird proofing from infestation areas, eavestroughs, windowsills, eaves. We use mechanical deterrents (needles, nets, bird wire, barriers, electrical box and vocal deterrents) or also innovative long-acting repellents. Nets against break-in on compartments and openings to avoid volatiles access. Mechanical deterrent positioning, needles, bird wire on eavestroughs, windowsills, eaves and other volatiles lean and stationing points. Bird wire and pigeons and volatiles deterrents. 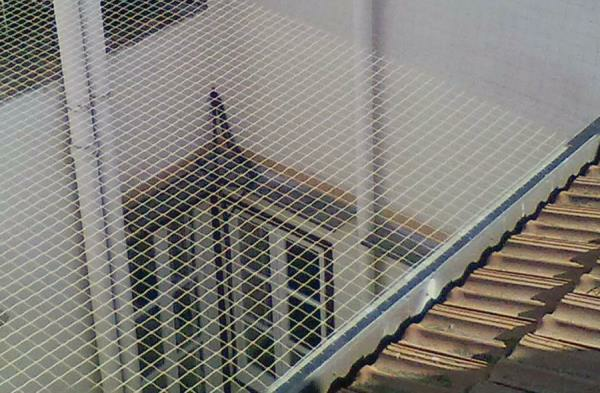 Last generation polycarbonate based technologies (Pigeon Free System). B-ST is a natural and sustainable deterrent for volatiles monitoring. Repellent gel positioning inside appropriate long-life containers.